Are Diamonds Reports And Diamonds Certificates Important? Why Is A Diamond Report Or Certification Important When Buying Diamonds? A diamond grading report is the penultimate proof of how priceless your diamond is. However, with all the zillions of random digits and acronyms on any diamond report, reading a diamond report can be tough. This is why you should know the benefits and reasons to get your treasured gem a diamond certification as well as how to read the parameters of diamond grading, before billing on one. Diamond report being the sole certification of diamonds, it is necessary to have a written proof of whether the stone you own is a backyard rock or a gem! A diamond grading report is assessed based on various parameters, each stricter than its predecessor. In fact, it is a customer’s right to seek a diamond grading report with each diamond purchase. If a jeweler refuses to provide or agree to your request to grade or on its inference from a reputed laboratory, then the chances are the diamond geezer is trying to con you! Authenticity of your Diamond is established when the respective authority justifies the facts furnished in the report. As the grading report contains an in-depth detail on the origin, structure and number of inclusions, in addition to scores of other characters of a diamond, deducing the durability of the gem is easy too. The fact is that, authenticity of a diamond can be asserted only through a stamp ‘n’ seal from reputed laboratories based on niche assessments. Authenticity of a diamond is enhanced through its safety features like the hologram, unique report number, laser registry and microprint lines. A grading report sheds light on the technical characteristics of your diamond using the clarity, cut, shape, carat weight, finish, dimensions, fluorescence, symmetry and magic weight. The rarity or worth of the gem is dependent on the perfection of the diamond. By verifying the nature of inclusions in your diamond using VVS, SI, I type of scales, you can determine the value of the diamond easily. There are endless methods to fill cheap elements into the diamonds to enhance the size and sparkle, which are also used by most diamond cutters as well. It is your grading report that emphasizes whether the diamond you own is a natural cut diamond or one that is filled with inclusions. In short, a diamond grading report is the passport of a diamond. Often, these inclusions can be masked to the naked eye as well as a 10x loupe. In order to protect the investment from fraudulent diamond geezers, it is recommended that you request a diamond certificate in addition to your jewelry purchase. Since a few years, GIA and many other reputed laboratories have issued many plots for different diamonds, which refers to the graphically accurate representation of your diamond. These help to determine the strength and nature of reflections for specific angles and areas in a diamond. Mostly generated to record or salvage the diamond for re-selling and replacement options, a diamond grading reports asserts s stronger claim of warranty too. However, a diamond grading report merely notes the scientific value of the gem based on the characteristics of the diamond, rather than the market conditions and rate per carat weight available for the future. However, deducing the potential worth of a diamond is independently possible with a grading report. A diamond grading report is credible as well as tough when sougt from credible laboratories like GIA, IGI, AGS or EGL. Having no universal diamond authority or a perfect diamond makes the case of diamond cutting and grading a subjective, yet substantial task. If the laboratory you seek has no equipment or skills, to assess the diamond in detail, the results will be poor and next to nothing! 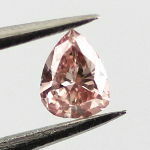 Apart from the unique report number, which signifies the ‘cert’ number or unique assessment number, recorded by the laboratory in its internal documents, there are many parameters highlighted solely in a diamond grading report. Hence, reading a diamond grading report is not an easy-cake because these parameters assess many technical characteristics of the diamond. As each characteristic judges the value of your diamond, knowing the grading parameters as well as their minimum to maximum unit values are necessary too. This refers to facet arrangement, which gives light, fire, brilliance and sparkle to a diamond. The laboratory, grades the cut of a diamond through measuring and testing the Proportions, A Virtual 3D and via Direct Assessment. Proportions of a diamond are recorded through Helium Scanner, Ogi or Sarin while a virtual 3D is tested to display enhanced trade-cut info. The Direct assessment for grading diamonds for their cut is used to detect the rate of light leakage and return in digital pixels. Most people buy their diamonds based on the carat weight, but what is a carat with respect to diamonds? 1 carat is equivalent to .200gm/ 200 mg/ 100 Points. One point= 1/100 of carat weight. Example: 23 pt Diamonds is equivalent to a .23 carat (ct). Magic weight refers to proportionate diamonds as in 1.00 carat. Often noted as the deciding quality factor in a diamond, there are many different colors while the majority of natural diamonds comes in yellow or brown alongside a hue. Diamond Color Grading Scale begins at the alphabet “D” and ends at “Z”, with “D” having the just a tint of the shade while “Z” having darker hues. Diamond grading report analyzes the colors in a diamond by keeping it under a daylight-stimulating lamp with its face down and bottom facet up. Popularly termed as purity or core of a diamond, clarity refers to the rate of inclusions on both the inside and the outside. The central equation of reading clarity in a diamond grading report is that more the inclusions, lesser the clarity of the diamond. VVS1 and VVS2- Very Very Slightly Included: Tiny inclusions that are difficult to view with the naked eye, however if you use a 10x magnification loupe, finding inclusions are easy! SI1 and SI2: Slightly Included, which refers to diamonds with inclusions that are few, but visible to the naked eye. Clarity is assessed on a Diamond Grading Report by Size, Quantity, Color, Type and Placement of the Inclusions in a diamond. Shape of a diamond refers to the pattern of its outline. The basic and classic shape of a diamond is round. Nevertheless, over the past century many new and old diamond shapes have revived too. Some such fancy diamond shapes are heart, asscher, princess, pear, marquise, oval, radiant, cushion and emerald. The best help features to test the shape of a diamond are the ASET and Ideal-Scope Images, which spots the trajectory and leak of light in-depth. This feature of the grading report highlights the specific dimensions of the diamond, including the number of facets, culet, height, circumference, varied diameters, depth, girth and length. Often, for creating enhanced diamonds, flawed diamonds are sought and treated with technology to mask the inclusions. Inclusions consist of anything that mars the perfection of a diamond such as pinpoints, feathers, needles, crystals and clouds. These inclusions are treated with lasers or fillings such as silicone or glass to make the inclusions invisible to the naked eye and fewer than 10X magnification loupe. Laser inclusions are further achieved by drilling holes through the favorable parts of the diamond, to reach the inclusions. Fillings like silicones expand upon heating while laser treatments do not. However, enhanced diamonds possess a higher chance of corroding than diamonds without inclusions. While high polishing of the diamond chips off too much of the quality diamond, improper polishing results in refraction of light in and out of the diamond simultaneously reducing the reflected light. A sign of poor polish in a diamond are the grain lines on its surface, which is higher in pink colored diamonds even with the naked eye, when viewed under reflected light. Polish of a Diamond is graded and termed as Excellent, Very Good, Good, Fair and Poor. When cutting a diamond, it is the aim of the diamond cutter to try and achieve a magic weight. In such cases, the diamond is cut from a heavy diamond with the maximum effort to minimize the inclusions. The truth is that, asymmetry in diamonds does not indicate the poor skills, but superior skills of the diamond cutter. Hence, symmetry defects in a diamond are profits, in terms of its value, worth and price. A diamond grading report assesses the symmetry of the diamond by terming it as Excellent, Very Good, Good, Fair and Poor. The reaction of a diamond to the long wave radiation is denoted as its fluorescence. Universally, lesser the fluorescence of your gem, lower is its value. According to GIA 25 to 30% of diamonds radiate the fluorescence, in sunlight. When fluorescence changes a color, such as a yellow diamond appears white in the sunlight, it is called masking. The diamond grading report analyses the following grades for denoting fluorescence- None, Very Faint, Faint, Faint Blue, Medium Blue, Strong Blue, Very Strong Blue, Faint Yellow, Yellow, Medium Yellow, Strong Yellow and Very Strong Yellow. The plot provided in a diamond grading report is the graphical representation assessed in the imperfections of the diamond. The laboratory uniquely identifies your gem by analyzing its dimensions or other additional measurements and refers it to extensive pictorial representations. A grading report grades the internal characteristics on the plot in red while green is used for marking the external characteristics. These are often separately coined from the grading reports and denote the commentary from the auditor, that the diamond experts review, which also affects its quality and price. However, comments are the benign most section in the diamond grading report. Anonymous Surface Graining: Denotes that the surface grains or the flaws of the surface of the diamond during its growth are present in the diamond, higher than normal. Anonymous Internal Graining: Presence of Vague lines inside the diamond that occur due to the distortions of the growth planes. Anonymous Additional Clouds/ Pinpoints: Affecting the clarity of the diamond, clouds or pinpoints recorded owing to inclusions being high in number and small in size. Anonymous Twinning Wisps: Caused by a change in the direction of growth, twinning wisps are recorded on with Slightly Included (SI) diamonds. In order to prevent forging and theft of the diamond report, holograms, microprint lines and upc codes that match your gem to the official record maintained by the laboratory. This resolves disputes and also re-serves the options for effortless and hassle-free future assessments. Choosing a diamond report grading laboratory is the next step in deciding whether you need a diamond report or not. If the jeweler is not accredited by a reputed laboratory, to nullify your doubts about the precious stone, availing a diamond grading report is the ideal solution! For that additional level of assurance and confidence on spending treasure for a treasure, any extra number of stamps and seals would do the better good!